Holly currently coordinates health screenings for the Clergy Health Initiative and has both masters and doctoral degrees in Exercise Physiology. She is interested in integrative health and enjoys hiking, reading, writing, watching movies, and hanging out with her three cats, Maryl, Luca, and Magic. 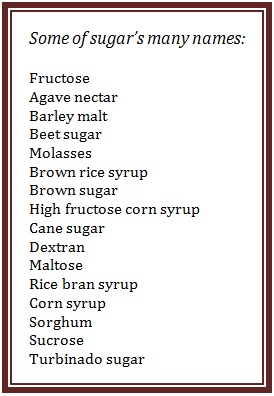 Sugar has many aliases and, according to Prevention magazine, precisely 57 different names. Nowadays, sugar is ubiquitous and permeates much of our food supply, even in places you might least expect, like ketchup and barbecue sauce. So where did sugar originate? Sugar cane was initially grown about 10,000 years ago on the island of New Guinea where people picked and ate it raw. By AD 500, sugar was powdered in India and used as a treatment for various ailments, but sugar refinement was a covert process that eventually spread to Persia. The Arabs were the first to turn sugar production into an industry after Arab armies conquered Persia and marched away with sugar’s potent secrets. By the time cane sugar reached the West (roughly 600 years ago), it was classified as a spice and purchased by European royalty, the only ones with the means to pay the exorbitant prices. Two hundred years later, slave labor on sugar cane plantations made it possible for the working class to buy sugar. The Industrial Revolution made sugar accessible to everyone and manufacturers now refine raw sugar into the white crystals available in our grocery stores. Several prominent scientists suspected that sugar might cause diabetes as early as the 1920s, but it wasn’t until 1972 that John Yudkin, a British physiologist and nutritionist, proclaimed the evils of sugar in a book entitled Pure, White and Deadly, which was written to send the message that overconsumption of sugar was leading to many diseases, including heart disease, liver disease, and some cancers. The book was based on a series of studies during the 1960s showing that high amounts of dietary sugar resulted in increased amounts of fat and insulin in blood, raising the ri sk for heart disease and diabetes. However, Yudkin’s message was overshadowed by Ancel Keys (click here to read the recent saturated fat blog for more on Keys) and other scientists who preached the theory that saturated fats caused heart disease and obesity. Richard Johnson, MD, a nephrologist the University of Colorado in Denver, says that “every time I study an illness and trace a path to the first cause, I find my way back to sugar.” Dr. Robert Lustig, a pediatrician and endocrinologist at the University of California at San Francisco, has proclaimed that the “food industry has contaminated the food supply with added sugar” that has become a poison. 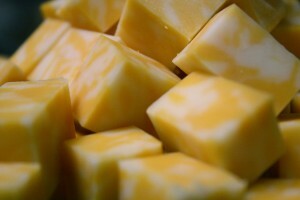 Click to read Holly’s post, Saturated Fats: Friend or Foe? Saturated Fats: Friend or Foe? For decades, we have been advised to steer clear of saturated fats. Several research papers published in the early 1950s implicated dietary fat as a key player in the development of heart disease. By 1961, the American Heart Association (AHA) published dietary guidelines that included reduction of saturated fats and in 1982, the Nutrition Committee of the AHA recommended no more than 10% of daily calories from fat. So what are saturated fats? 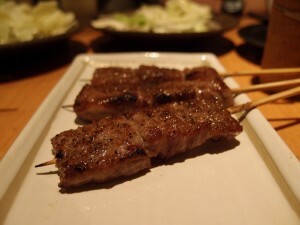 They are usually solid at room temperature and found in the foods we tend to like the most, that is, meat, cheese, ice cream, butter, and other dairy products. A few plant-based oils, such as coconut and palm oils, also contain saturated fats. Nina Teicholz, an investigative journalist, recently authored a book entitled The Big Fat Surprise (released in March of 2014) that corroborates the recent findings regarding saturated fats. Ms. Teicholz spent eight years sifting through previous research on the connection between heart disease and saturated fats. According to her, the research that was the basis for our current dietary guidelines was severely flawed. The primary author, Ancel Keys, was a physiologist at the University of Minnesota in the 1950s. The story goes that Keys became interested in heart disease when he observed that American businessmen were experiencing high rates of heart attacks, Europeans had lower death rates from coronary heart disease when food supplies were low following World War II, and then-President Eisenhower himself had a heart attack, bringing cardiovascular disease to the medical forefront. Following a series of smaller studies, Keys developed his theory that fat, particularly saturated fat, caused heart disease, which came to be known as the diet-heart hypothesis. In 1953, Keys published a very influential paper where he purported a “remarkable relationship” between fat and heart disease. He presented data from the United States, Canada, Australia, England and Wales, Italy, and Japan supporting his hypothesis that consumption of fat causes heart disease. Several years later, Jacob Yerushalmy, a biostatistician at the University of California at Berkeley, noted in a separate paper that, although the countries Keys selected supported the diet-heart hypothesis, data were available for 22 countries. As it turned out, when data from all countries were analyzed, the causal relationship between dietary fat and heart disease disappeared. Keys launched what came to be known as the ‘Seven Countries’ study in 1958. He collected data on dietary habits and heart attack rates in the United States, the Netherlands, Finland, Yugoslavia, Italy, Greece, and Japan. As a result, Keys reported that greater consumption of animal fat led to a higher rate of heart attacks. There were a few problems with his data, however. Keys visited Greece during Lent when people abstain from eating meat, which would have skewed his data. Additionally, the correlation between animal fat and heart attacks was not observed in Finland, Greece, and Yugoslavia. Keys also intentionally left out countries such as Holland and Norway where residents eat a lot of fat but experience little heart disease. In spite of the flaws, Keys’ research received a great deal of media attention and he ultimately persuaded both the AHA and the U.S. government that saturated fats were the bad boys that caused not only heart disease but played a major role in the development of obesity and cancer as well. What followed are the national dietary guidelines that are still accepted today. Dariush Mozaffarian, MD, at the Harvard School of Public Health, is one of many researchers who now believe that our current dietary guidelines need to be revisited. He says that “we can’t judge the healthfulness of a food [only] by how many grams of saturated fat it has.” Other experts aren’t buying the new findings. Walter Willett, MD, Chair of Nutrition and Mozaffarian’s colleague at the Harvard School of Public Health, says the conclusions of recent studies should be disregarded. What does all of this mean for us? It is unknown when or if the current dietary guidelines will change and it will take more research and discussion to alter a long-held belief. If you have questions regarding these new findings and wish to revisit your own nutritional habits, please to talk to your doctor and/or a dietitian. Please consult with your doctor before making any dietary changes. What’s the Lowdown on Eggs? Are eggs making a comeback? For decades, we have been advised to limit egg consumption to reduce our risk of developing heart disease in spite of the fact that eggs contain beneficial substances like protein, Vitamins A and D, calcium, and choline (important for brain fun ction). Eggs have gotten a bad rap, probably because just one yolk contains 187 mg of cholesterol, which is 62% of the recommended daily intake. While it is true that eggs are high in cholesterol, there is now solid research that shows no connection between eating eggs and heart disease. For example, participants in the Multiple Risk Factor Intervention Trial that had a blood cholesterol level lower than 200 mg/dL ate more eggs than those whose cholesterol was greater than 220. In a separate study, individuals who ate two eggs per day for six weeks experienced no change in total or LDL cholesterol, or ‘bad cholesterol’. The truth is, cholesterol is in every cell of the human body and is used to make hormones like testosterone and estrogen. 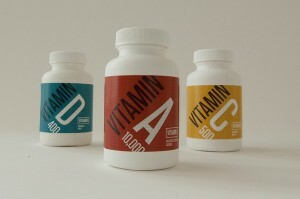 The liver actually produces cholesterol and makes all the cholesterol your body naturally needs. There is no dietary requirement for more; however, when we eat foods high in cholesterol, the liver produces less of this natural cholesterol. So what foods are high in cholesterol? Usually those foods that are also high in saturated fat, like animal products. Since the American diet typically includes a lot of animal products, we consume quite a bit of cholesterol as a result. Alice Lichtenstein, a professor of nutrition science at Tufts University, says that the major determinant of LDL (‘bad cholesterol’) levels is saturated fat and lowering saturated fat in the diet subsequently lowers LDL cholesterol. While eggs are indeed high in cholesterol, they are low in saturated fat, which for many years has been accepted as the primary culprit in raising the risk for heart disease. New evidence is surfacing, however, that shows no relationship between saturated fat and heart disease risk, a revelation contrary to long-held beliefs. So…based on what what we do know, how many eggs can you eat? Most experts agree that one egg per day is fine. The American Heart Association (AHA) no longer limits the number of eggs you can eat, but instead recommends limiting cholesterol intake to 300mg daily. People with diabetes who eat eggs may be at increased risk for heart disease, so if you have diabetes or very high levels of total and LDL cholesterol due to a genetic disorder, experts say it is best to limit your egg consumption to three yolks per week. 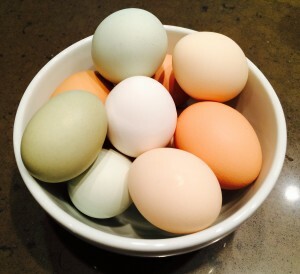 Perhaps it’s time to reevaluate eggs – they may be an egg-cellent choice after all! Please consult with your doctor if you have concerns about your cholesterol or before making any dietary changes. This is the fourth and final post in a series on gluten and gluten-free eating. Click to read the first, second, and third installments. The Final Verdict: If You can Tolerate Gluten, Should You go Gluten-Free? More than half of gluten-free consumers don’t have a sensitivity to gluten and many are self-diagnosing, believing that gluten-free products will help them lose weight or feel better, even if they don’t experience digestive distress after eating wheat. Do gluten-free diets lead to weight loss? Most experts say no. When manufacturers eliminate gluten from food, wh eat flour is exchanged for a different type of flour, such as rice or bean. Gluten adds texture, but when that is removed, corn starch or xantham gum are added to give bread some shape. 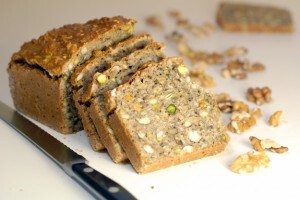 Gluten-free bread, for example, is often low in nutrients and supplemented with sugar and fat to enhance taste and softness. Mark Hyman, MD, author of The Blood Sugar Solution, says that wheat (not just gluten) not only triggers weight gain but leads to the development of diabetes, heart disease, depression, and many other illnesses. He says that modern wheat contains a “Super Starch”, or amylopectin A, that is used to make fluffy breads, such as Cinnabons. What’s the big deal? “Two slices of whole wheat bread raise your blood sugar more than two tablespoons of table sugar,” which increases your risk of diabetes. Daniel Leffler, MD, Director of Clinical Research at the Celiac Center at Beth Israel Deaconess Medical Center in Boston, says “the average American diet is deficient in fiber” and if whole wheat is removed from our diet, the problem worsens. Other grains such as quinoa or brown rice can provide us with the necessary fiber, but preparation of these grains often requires more effort. Alessio Fasano, MD, Director at the University of Maryland’s Center for Celiac Research, says that we do not have the enzymes to properly digest gluten. Dr. Fasano believes that gluten triggers an immune response in everyone, which can lead to autoimmune disorders like rheumatoid arthritis and irritable bowel syndrome. Katherine Tallmadge, RD, author of Diet Simple, says that if yo u don’t have celiac disease, don’t go for gluten-free foods because you will be missing out on fiber, iron, folate, niacin, calcium, and Vitamin B12, among vitamins. Donna Gates, creator of the Body Ecology Program for individuals with autism, advocates eliminating gluten from the diet as a means of treating autism. Some experts theorize that children with autism may have an allergy to foods with gluten or casein (found in milk and dairy products). All of these views carry more significance if you think about how much wheat most Americans eat. Many eat a bagel or toast for breakfast, a sandwich for lunch, and bread or pasta (or both) for dinner. If you snack on cookies, cakes, or crackers in between meals, that’s a lot of wheat consumed in one day. Keep in mind that gluten-free products such as cookies and cakes are still processed foods and, thus, higher in calories. Additional sugar in gluten-free bread and other products also means raising blood sugar and increasing the risk of diabetes. 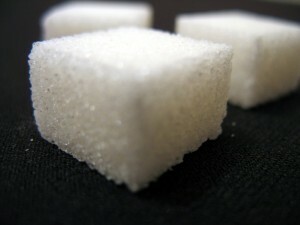 Processing and added sugar also result in a pricier product. It’s easy to pay more for something that isn’t very healthy, even if it’s gluten-free. So now that you have the rundown on the major issues surrounding wheat and gluten…what’s a girl (or guy) to do? The bottom line is that you need to decide for yourself. If you want to experiment with eating healthier wheat and bake your own bread without additives, check your local area for farms that grow and grind organic wheat. Maybe the answer for you is to simply cut back on the amount of wheat you eat, but if you feel strongly about eliminating wheat and/or gluten from your diet, please talk to your doctor. It is also important to see a knowledgeable dietitian who can help you eat a balanced diet that has the fiber, vitamins, and minerals your body requires. This is the third post in a series on gluten and gluten-free eating. Click to read the first and second installments. What Causes Celiac Disease and is Genetically Modified Wheat to Blame? So what really causes celiac disease? 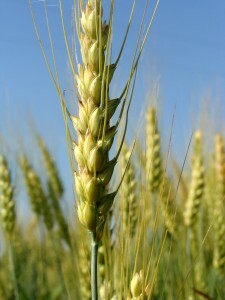 Some argue that, after cross-breeding wheat, the gluten content increased and subsequently triggered an increase in gluten intolerance. Dr. Donald Kasarda, who authored a 2013 report on gluten content in wheat during the 20th century, concluded that this is not the case and says that, instead, Americans are simply eating more wheat and processed foods, such as ketchup and mustard, where gluten is typically added as a thickener. William Davis, MD, a cardiologist and author of Wheat Belly: Lose the Wheat, Lose the Weight, and Find Your Path Back to Health, argues that significant changes in the protein structure of the wheat itself are responsible. There is also a faction of people who believe that this increase is primarily due to genetically modified, or GM, wheat, which is not the same as the cross-bred variety of wheat we currently consume. How is genetic modification different from hybridization? ‘Hybrid’ means cross-breeding from two parent plants. Essentially, pl ant breeders steer the process of crossing two varieties in the field using low-tech methods. Genetic modification refers to plants that have been altered in the laboratory using complex technology to enhance desired traits, such as resistance to pesticides. 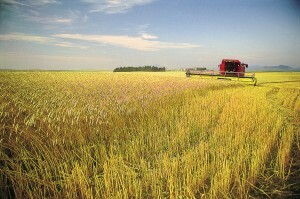 GM plants can include genes from several species, something that rarely, if ever, occurs in nature. Corn and soybeans, two of the most widely grown GM crops in the U.S., are approved by the U.S. Department of Agriculture (USDA) and were introduced in the ‘90s by Monsanto, one of the biggest agricultural companies in the world. For our purpose, though, the bottom line is that GM wheat is not currently on the market and, therefore, cannot be responsible for the increased incidence of gluten intolerance. Will GM wheat ever be approved by the USDA? Monsanto tested GM wheat across the U.S. for several years and, in 2002, submitted an application to the USDA for approval. Two years later, the company withdrew the application because farmers feared that wheat grown from GM seeds would not be purchased by large markets in Europe and Asia. As fate would have it, American wheat exports have decreased by approximately 85% due to GM contamination. On May 29th of 2013, the USDA announced publicly that genetically engineered wheat was found growing on a farm in Oregon. Subsequently, South Korea and Japan, the biggest buyer of U.S. wheat behind Mexico, cancelled their contracts to purchase wheat. The European Union also began testing shipments of U.S. wheat and blocked those containing GM wheat. It is also notable that the type of seeds found on the Oregonian farm were Roundup Ready, which means they are genetically modified to be resistant to Roundup (which you may use to kill weeds in your yard). Plants grown from Roundup Ready seeds will grow even when sprayed with Ro undup and the surrounding weeds die. Recently, however, ‘superweeds’ have sprouted in farmers’ fields that are resistant to Roundup and Dow AgroSciences is now testing seeds that are resistant to a stronger pesticide, 2,4-D (a component of Agent Orange that was used in the Vietnam war). What does all of this mean for us? It’s difficult to say and no one really knows for sure, but are GM foods in your grocery store? You bet. Some estimate that more than 70% of processed foods, such as cookies and cereals, contain GM ingredients. Fresh fruits and veggies are GM-free as are meat, fish, and poultry, however, feed for livestock and fish is derived from GM corn and alfalfa. Please consult your doctor if you suspect that you have celiac disease, gluten sensitivity, or a wheat allergy, or before making significant changes to your diet. UP NEXT – Part 4 – The Final Verdict: If You Can Tolerate Gluten, Should You Go Gluten-Free? I had no idea that wheat was such a controversial topic until I began doing research in preparation for writing this blog series. After much reading and sifting through articles, I believe that, to really get to the heart of whether a gluten-free diet is appropriate for those of us that don’t have celiac disease or gluten sensitivity, the discussion must become global and include some history as well as a few details on farming, biotechnology, and economic trading. There is a multitude of information on the Internet and, in my opinion, more to this issue than simply considering whether to include gluten in your diet. I have done my best to present all sides (in the following three parts) and provide, well, food for thought. Read the first part of the series here. You may be surp rised to know that other parts of the world are way ahead of the U.S. when it comes to gluten-free eating. Argentina recently initiated a national program for the detection and control of celiac disease and, for residents, health insurance companies “must cover the cost of alternative flours and gluten-free mixes” for celiac patients. Both Irish and Canadian citizens receive tax deductions for the extra cost of gluten-free foods and in the United Kingdom, people with celiac receive gluten-free products as part of their health plan benefits. In Italy, all children are tested for celiac disease by age six and any Italian over age ten diagnosed with celiac receives a monthly stipend of 140 euros for gluten-free foods. Even though celiac disease has been around for centuries, it was once considered very rare in the U.S. Joseph Murray, MD, a gastroenterologist at Mayo Clinic, saw frequent cases of celiac disease as a medical student in Ireland during the 1970s. When he moved to the U.S. in 1988, Dr. Murray saw one patient per year with gluten intolerance and by 1997, his celiac cases numbered 100 annually. He decided to investigate the phenomenon and compared celiac incidence in blood samples taken from 50 Air Force recruits in the 1950s with blood taken from young men living in Minnesota. The present-day men were 4.5 times more likely to have celiac disease, which means something in the environment has changed. Enter wheat. No one really knows why celiac disease is affecting more people, but many believe that the transformation of wheat is to blame. Wheat products sold today are very different than wheat that was consumed in the early 20th century all the way back to Biblical times and, indeed, it seems that the incidence of celiac disease increased at about the same time as the changes in wheat. Plant researchers have discovered, however, that Borlaug’s wheat had fewer nutrients than before and became a refined wheat that raised blood sugar le vels very quickly. Additionally, bread preparation is not at all similar to what it was at the turn of the century. Grains “…were soaked, sprouted, and fermented, and bread was baked using a slow-rise yeast.” Today, manufacturers bleach flour with agents like benzoyl peroxide (typically used to treat acne) and bake bread with quick-rise yeast, which results in bread with little nutritional value. It turns out that Grandma’s bread was baked with more than love! 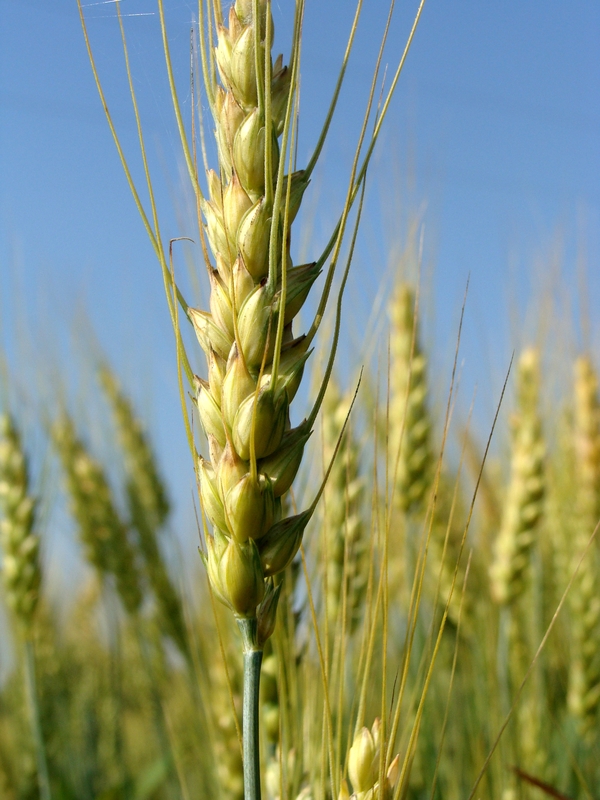 UP NEXT – Part 3 – What Really Causes Celiac Disease and is Genetically Modified Wheat to Blame? If you have had a Spirited Life/CHI health screening in the past year, you have likely interacted with me at some point. In both the spring and fall of 2013, I counseled screening participants on their results at many churches across the state and, as of April of this year, I am now coordinating the screenings. The blog below is the first in a series of nutritional topics that arose during my discussions with many of you. Thus, I am responding to your questions. Upcoming topics include the lowdown on eggs, sorting through sweeteners and sugars, and the perils of trans fats. Stay tuned! Part I – What is Gluten and How Can it Affect Me? Gluten-free eating has become very trendy and the market for gluten-free products is booming. Many grocery stores now stock gluten-free products, some restaurants provide gluten-free items in addition to their standard fare, and celebrities like Gwyneth Paltrow, Jenny McCarthy, and Oprah Winfrey have touted the benefits of gluten-less diets. However, is eliminating gluten from your diet the way to go? If you have celiac disease, the answer is a resounding ‘yes’. If you are not gluten sensitive, the answer may not be straightforward and information populating the Internet can be confusing. Thus, let’s start with what is clear-cut. What is gluten? 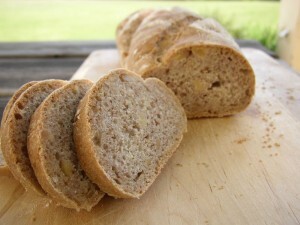 Gluten is a protein found in wheat and other grains, such as rye and barley, which gives bread its sponge-like texture. When individuals with celiac disease ingest gluten, the immune system attacks the small intestine. Over time, the small intestine loses its ability to absorb nutrients, such as calcium and iron, and severe nutritional deficiencies can develop. Even small amounts of gluten can cause a lot of damage and the only treatment is a strict gluten-free diet. Common symptoms of celiac disease include diarrhea and weight loss, although many people experience little, if any, digestive distress. Some people have a sensitivity to gluten without having celiac disease, which means that they cannot metabolize gluten, and may have symptoms as severe as those of celiac disease. 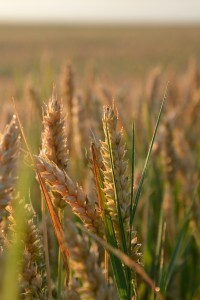 Still others have a wheat allergy, which is one of the most common allergies in the United States. Simply inhaling wheat flour can trigger an allergic reaction for some. People with celiac disease or gluten sensitivity must eat a gluten-free diet to feel better. Many foods are naturally gluten-free, such as fruit, vegetables, meat, poultry, seafood, beans, legumes, nuts, and dairy products. A number of grains like rice, corn, potatoes, quinoa, and nut flours are also gluten-free. Please consult with your doctor if you suspect that you have celiac disease or gluten intolerance, or before making any dietary changes. References: Providence Health and Services; Mayo Clinic: Symptoms; Mayo Clinic: Wheat Allergy; Internet Symposium on Food Allergens: Identification of Wheat Allergens; Asthma and Allergy Foundation of America: Wheat Allergy; CeliAct: Is Modified Food Starch Safe for Celiacs?